Brianna Concannon has buried a broken heart under her fair, calm exterior for ten long years. Jilted just weeks before the wedding to her childhood love, Bri turned her attention to keeping house for her family in County Clare. She's cooled her passions for anything other than tending to the guests at her inn, until one stormy night when the wind blows in a houseguest who could change everything . . .
Grayson Thane, the acclaimed thriller writer, has come to Ireland to research his next bestseller. It's the latest stop on Gray's travels: with a past of his own that he'd rather forget, Gray won't let anything tie him down. But he's soon possessed by the ghost stories of Ireland - and the fired-gold hair of his hauntingly beautiful host. Stumbling across her late father's letters in an attic trunk, Bri is about to make a discovery that will stir dark family secrets and change her life for ever. But will Gray stay with her to weather the storm? 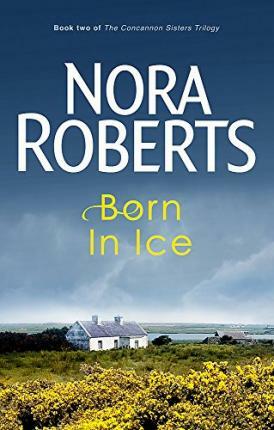 Nora Roberts is the number one New York Times bestseller of more than 200 novels. With over 400 million copies of her books in print, she is indisputably one of the most celebrated and popular writers in the world. She has achieved numerous top five bestsellers in the UK, including number one for Savour the Moment, and is a Sunday Times hardback bestseller writing as J. D. Robb.